I’m Heading to Florida for the Zootopia Event! 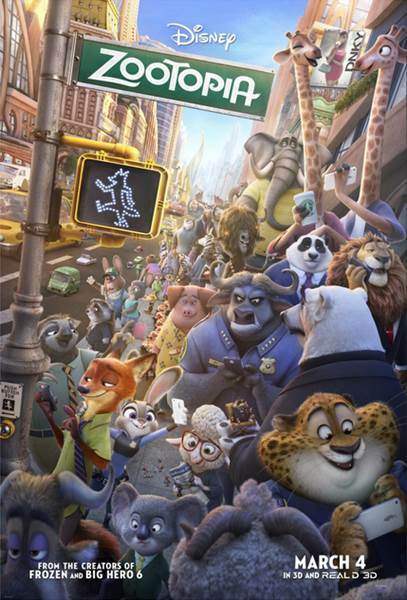 Have you seen any of the trailers for the newest Disney Animated film coming out on March 4th, Zootopia? I can already tell from my kids’ excitement as well as my students’ that it is going to be a blockbuster! I’ve been working with Disney on events for 5 years now and every single time I get an email inviting me to join other amazing bloggers on a press trip, I get the biggest rush of euphoria you can imagine. I will never get complacent getting these emails. It is an assurance that my hard work is getting noticed. Last year I was invited to San Francisco to meet with the geniuses behind Inside Out, and I was invited on the ultimate Disney fan trip to the D23 Expo in Anaheim. This year is starting off with an amazing opportunity to meet with the crew and cast members of Zootopia in the most “Magical Place on Earth,” Walt Disney World! The #ZootopiaEvent will take place at Disney’s Animal Kingdom Lodge which is a 4 minute drive from Disney’s Animal Kingdom. I wasn’t familiar with this hotel (being the Disney World newbie that I am) so when I found out that the lodge is surrounded by a 33 acre wildlife preserve and you can even observe some of the wildlife from your balcony, I did a little dance of excitement. I can’t wait to show you all the details of this resort. 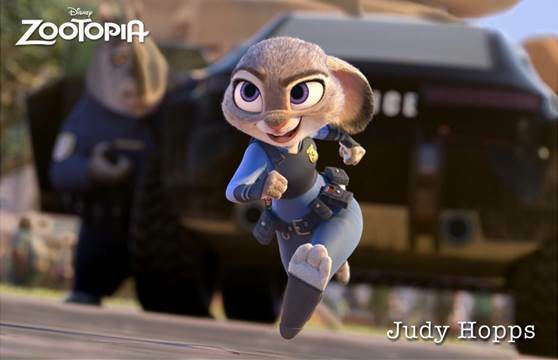 Of course the main attraction of this trip is the screening of the movie Zootopia and attending the Zootopia press junket where we will be interviewing Ginnifer Goodwin (voice of “Judy Hopps”), Jason Bateman (voice of “Nick Wilde”), and Directors Byron Howard & Rich Moore. I am excited to learn how it was for the cast and crew to create a world run by animals. It must have been fun roles to play! While we are staying at the Animal Kingdom Lodge, we will be treated to a behind-the-scenes at Disney’s Animal Kingdom Theme Park! 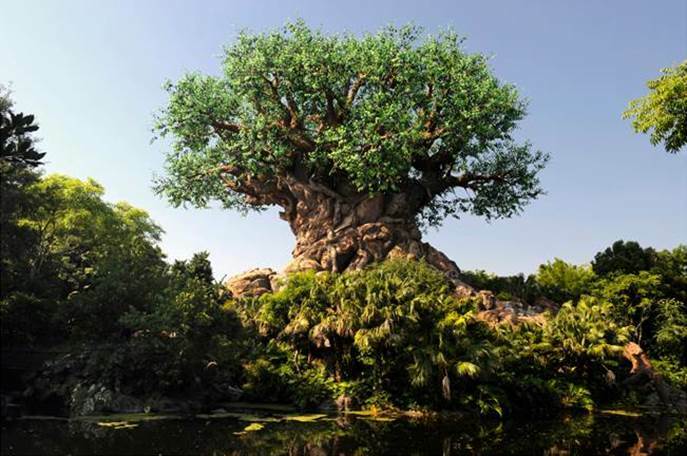 Highlights will include visits to the backstage animal housing area, the Animal Nutrition Center, the Veterinary Hospital and an experience on Kilimanjaro Safaris! You can also get a behind-the-scenes glimpse by following me on Twitter, Facebook, Instagram and Periscope. I will be utilizing all of my social media channels to bring you this coverage. The adventures don’t stop there, we will also be visiting Hollywood Studios and Magic Kingdom where I will be participating in different events including the “Symphony in the Stars: A Galactic Spectacular” fireworks show! Zootopia is all about animals in all their shapes and sizes. What better way to get into the mood of this movie then by staying in an African themed lodge and going behind the scenes of Animal Kingdom. 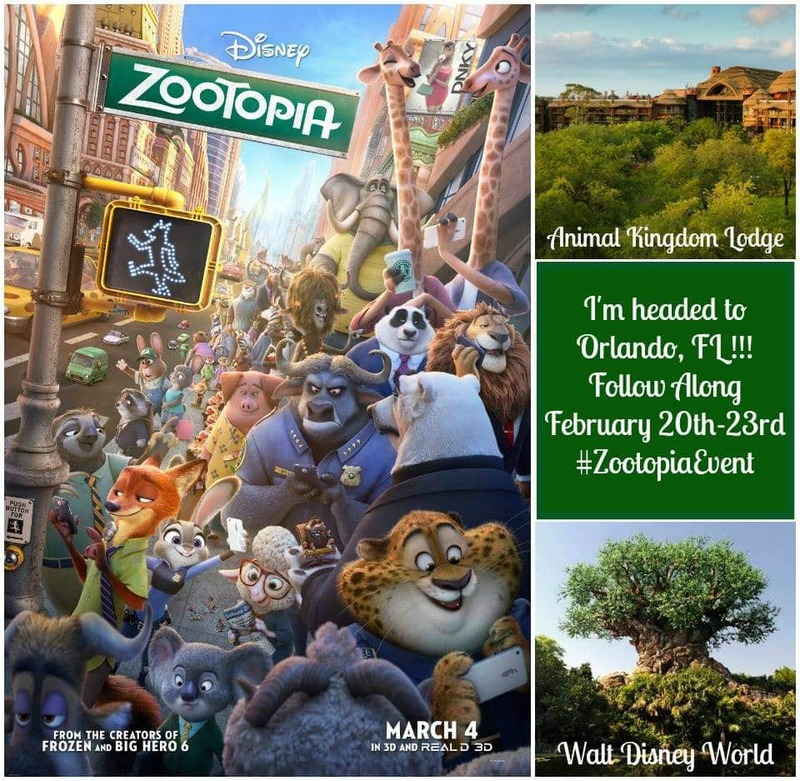 I hope you follow along using the hashtag #ZootopiaEvent from February 20-23! 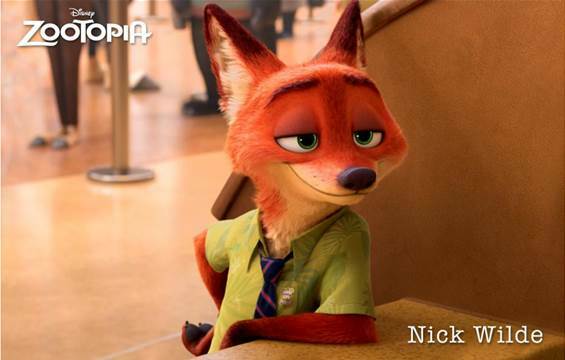 For now enjoy the trailer for Zootopia! To keep updated with all the Zootopia news and just released clips be sure to follow them on their social media channels: Facebook, Twitter, (#Zootopia) Instagram, Tumblr, and be sure to visit them on their Website. A huge thank you to Disney for flying me out to Florida and putting me up in this amazing lodge! All opinions are 100% mine.